This article is for anyone who is interested in property prices in Sussex. If you are a first time buyer, a buy-to-letter, or just simply curious, you should find some helpful information below. The article is in two parts. Firstly there is a table showing the cheapest available properties by Sussex town or village. These have been bracketed according to the typical value of the most basic 3 bedroom house.The second part is an alphabetical list of most of the main towns and larger villages in Sussex, giving a little bit of information about general desirability, including some information about rail links into London. Since this list was originally compiled, there has been considerable upward movement in some of the cheapest areas. 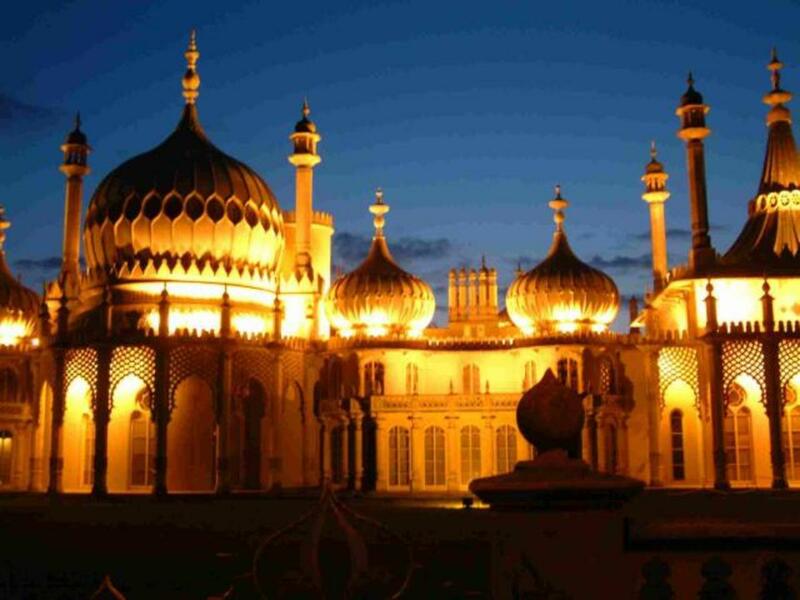 Sussex is a county of wide variation, but as a general rule of thumb, the towns based along the London to Brighton rail link are among the more expensive, whilst the coastal towns to the far East and far West of the county tend to be among the cheapest. The list was updated in January 2019. Also interested in other counties? If you are also looking at buying property in other counties, you might be interested in other 'Cheapest Places UK' articles. These currently include Kent, Surrey, Essex, Oxfordshire, Berkshire, Hampshire, Derbyshire, South Yorkshire, Cambridgeshire, Lincolnshire, Northamptonshire, Norfolk, Suffolk, Devon and Cornwall. 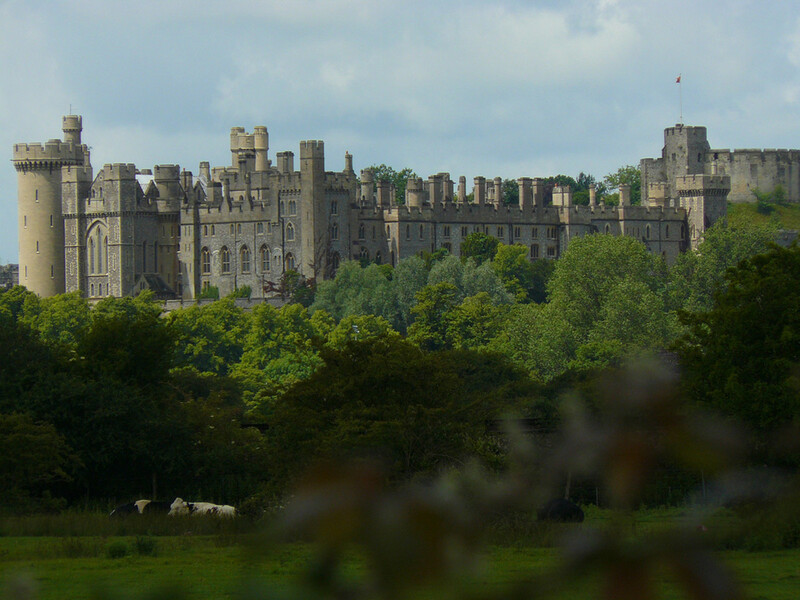 Beautiful Arundel nestles in the shadow of an ancient, walled castle, home to the Duke of Norfolk. It is very much a tourist destination, and, as a result, the shops tend to be mainly full of antiques, and twee nicknacks rather than useful, day-to-day items. The nearest big supermarkets are out of town, although there are a few small shops selling delicatessen and bakery items, and there are a couple of grocery stores selling a range of essentials in the town centre. The town is incredibly hilly, and some of the steeper roads would be unsuitable for anyone with mobility problems. On-street parking is limited, and consequently there is quite a premium to be paid for properties with garages and drives. The town is host to one of the best annual arts festivals in Sussex, which is held in late August. 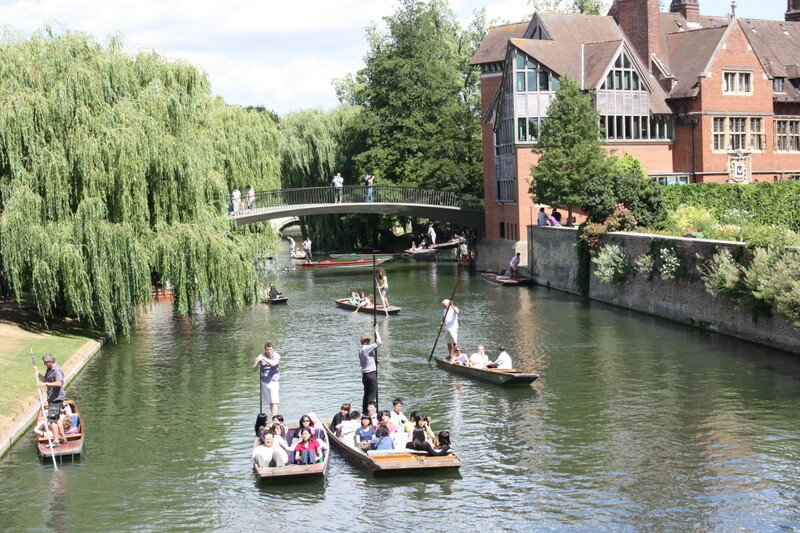 Property-wise, the town centre consists of mostly high-priced, older-style houses, although there are a few small, modern developments close to the river, which seem to sell at lower prices than the more traditional homes. Just outside of the town centre, but still within walking distance, there is an estate of mainly 1950s/1960s style houses, where the occasional bargain can still be found. On the day I researched this article on Rightmove, there were just two, three bedroom, terraced houses, situated on the out of town estate priced around £375,000, and a few town centre homes at upwards of £425,000 (January 2019). 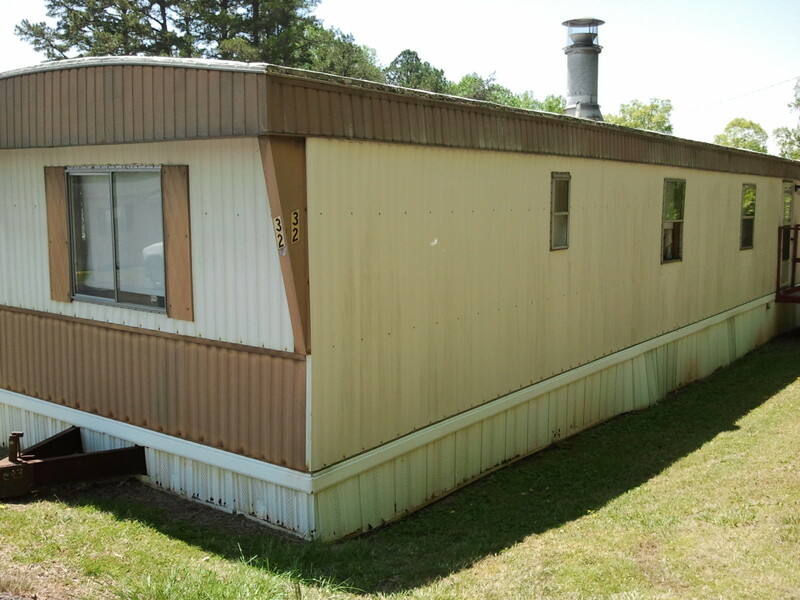 However, the majority of property in the town is far more expensive. A direct train into London Victoria has a journey time of approximately one hour and thirty minutes from Arundel. Genteel Bexhill, home to the famous De La Warr Pavilion, is a peaceful, seaside town, situated in East Sussex, on the coastal strip between Eastbourne and Hastings. In Bexhill there is no shortage of property on offer, possibly because the prices for a basic 3 bedroom house fall very comfortably in the Chancellor's lowest, two stamp duty brackets. Yes, incredibly for Sussex, properties in this seaside location are comparable with many Northern towns. The lowest priced 3 bedroom house I found on Rightmove (January 2019) was £190,000, and there were a couple more priced under £215,000. Three years ago, when I first researched this article, you could still find family homes for around £130,000, but it seems that house-buyers have caught on to the cheap prices in Bexhill, and house price inflation in the town appears to have escalated very rapidly. That said, just like other towns in Sussex, Bexhill is seeing price reductions on properties that have been hanging around a while. With Brexit in the mix, we could yet see further falls, and perhaps some keener pricing on new listings. A direct line train into London Victoria takes just short of two hours to travel from Bexhill. Billingshurst is a large Sussex village just eight miles south-west of Horsham. Popular with well-heeled commuters, it has good schools through to sixth form, and local leisure facilities include a swimming pool and gym. There is a railway station which lies on the London-Chichester line. A direct line train into London Victoria takes around one hour and ten minutes. Property here is quite pricey, and you are unlikely to find a 3 bedroom house in sound condition at much less than £300,000 at present. (January 2019), but realistically, allow at least £350,000 to guarantee a shot at a house in this popular location. Bognor Regis is a well-known seaside town with historic links to royalty. It enjoys lovely beaches, and there is quite a holiday air about it. Billy Butlins built one of his famous holiday camps here in the 1960s, and the site still remains a holiday destination with day-passes on sale for trippers eager to use the excellent themed, water park facilities. Bognor is on a mainline rail route, and visitors to and from the capital can make the journey into London Victoria in around one and three quarter hours. Bognor has a selection of schools through to sixth form, and a wide selection of local shops offering everything from tattoos to fishing tackle. Price-wise, the town is considerably cheaper than nearby Chichester. A basic 3 bedroom house can now be bought for a little less than £230,000, thanks in part, to price reductions on older listings. The exponential rise in property prices in this popular seaside location appears to be reversing slightly as we head into 2019. Brighton, and its conjoined twin, Hove, are great places for commuters, as Brighton Station is a mainline train terminal, so you're pretty much guaranteed a seat on trains to London early in the morning. The journey to London Victoria or London Bridge takes around an hour. Brighton is also a vibrant, historic city by the sea with much to recommend it in terms of night-life, culture, shopping, and eating out. A number of top-rated public schools are situated in, or nearby, and there's also a choice of Universities. That's the good news. The bad news is that Brighton is an expensive place to buy a house. Even the less favoured areas such as Whitehawk, Bevendean, Woodingdean, and Moulscomb, have been creeping up the charts in terms of cost recently. In January 2019, the search revealed a few three bedroom houses on the outskirts of Hove priced between £280,000 and £300,000. Other available properties in the low range are typically higher than this figure. This represents an increase of around £50,000 for the lowest priced three bedroom properties in the last four years. However, prices have definitely stabilised, and some older listings are now seeing reductions. Firmly in the Sussex commuter belt, Burgess Hill is a sprawling mix of old and new housing stock. The town has a reasonable shopping centre with a good selection of day-to-day stores including several supermarkets. It is well-served for sports and leisure facilities, including the excellent Triangle swimming pool, and has good local schools through to sixth form. 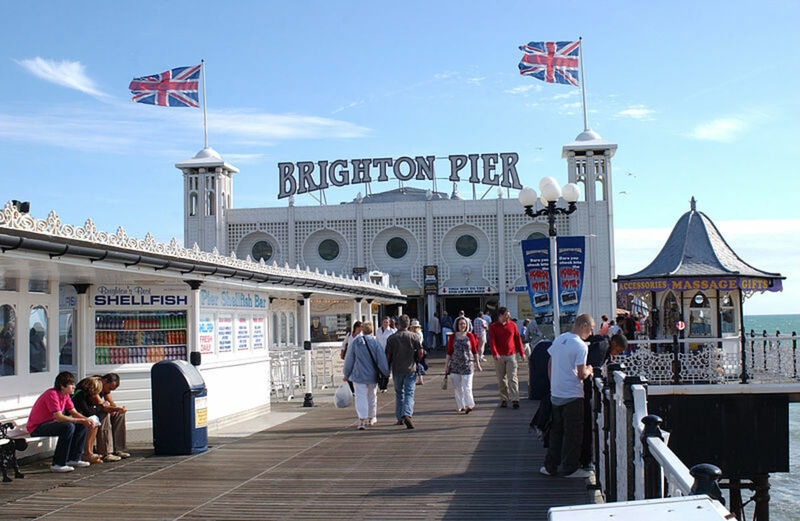 Situated on the Brighton - London mainline rail link, and with a journey time of less than an hour into the capital, the town is popular with those who travel to London for work. It is also blessed with a large factory estate on the edge of the town centre, which provides many of the local employment opportunities. Burgess Hill has a small number of 3 bedroom houses available in the £280,000 to £300,000 range, but realistically, you may need to pay more than this to secure a home here. Historic Chichester has been a thriving settlement since Roman times. If you love the feel of ancient places, Chichester may be just what you're looking for. The walled town centre offers a range of properties, some relatively new, and some very ,very old. 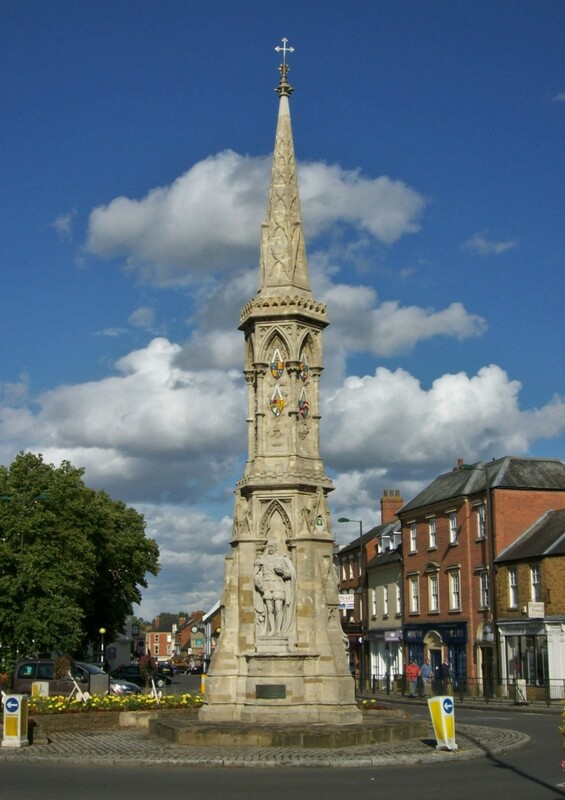 The pedestrianized shopping streets form a cross with the original Market Cross acting as a landmark in the centre. The Cathedral is close by, and is well worth a visit, as it is cram packed with art and artefacts, including stained glass windows designed by Marc Chagall. Chichester is a bustling, lively city with excellent shopping, leisure, and educational facilities, including the Festival Theatre, and Chichester University. My property search (January 2019) turned up a small number of 3 bedroom properties in the £250,000 to £280,000 range, but you will have a much wider choice if you can raise £300,000 plus. The train commute from Chichester into London takes around one and three quarter hours. Portsmouth and Southampton are both considerably nearer, and rail commuters might find those bustling Hampshire cities far more convenient. Crawley's infrastructure has improved considerably since its early days as a new town, built to accommodate young families leaving bomb-scarred London in the years immediately following World War 2. The town has a lively, cosmopolitan population, and is well-served by transport links, schools, colleges, and leisure facilities. The Mall in the town centre is crammed with High Street names, and there's even an original, historic High Street where 'old Crawley' can still be glimpsed. The town is divided into village-style estates, each with its own local shopping parade. As modern-day Crawley was created by the New Town's Commission, the majority of the housing stock was built in the 1950s and 1960s, and would originally have been rented. Many of these properties were snapped up in the 70s and 80s under the 'Right to Buy' scheme, and this has resulted in a legacy of moderately priced homes. The outlying areas of Bewbush and Broadfields were developed by the town council in the 1970s and 1980s, and the Maidenbower estate has grown up in the last twenty years. Considering all that Crawley has to offer, house prices are incredibly reasonable for a Sussex town. Perhaps the number one reason for choosing Crawley is it's excellent employment opportunities. There is a large Industrial Estate at Manor Royal, where many household names have their factories and warehouses, and in addition, Gatwick Airport is only a few miles away. With houses regularly being offered at under £260,000, it is no wonder the town is so popular with first-time buyers and buy-to-letters. The rail commute into London (Victoria or London Bridge) takes under an hour. Crowborough is situated in the Weald of Sussex, and is only 7 miles South-West of Royal Tunbridge Wells. It is one of the largest towns by population, in East Sussex, and has a full range of schools, plus good rail and road links. The town also benefits from a small cottage hospital with a midwife-led maternity unit. Crowborough is one of the county's highest locations, and at its loftiest point, is 242 metres above sea level, so well worth considering if you are concerned about rising sea levels! With regard to property prices, 3 bedroom houses can be bought from approximately £265,000. The rail journey into London Bridge takes just over an hour on a direct line. This chocolate box village has little to offer an average first-time buyer in terms of affordable property. Very occasionally you might be lucky enough to find a small, terraced 3 bedroom property for sale in Cuckfield under £400,000. Still you might want to consider the old saying 'better the cheapest house in the best road, than the best house in the cheapest road'. Cuckfield is a very lovely place to live, even if it comes at a price! There is no rail link in Cuckfield, however, it is on the Brighton to Crawley Metrobus route, which has services throughout the day. The nearest railway station to Cuckfield is just a few miles away at Haywards Heath. With prices similar to nearby Bexhill and Hastings, Eastbourne still offers excellent value, and on the day the prices were researched, there were several houses around £200,000, and quite a cluster just above that figure. Yes, you will have to pay stamp duty at these prices, but at least it's only 2%! Eastbourne has its own hospital, with a maternity unit. There are excellent schools, plus sports and leisure facilities, a wonderful art gallery and theatre, and a well-developed shopping centre with many big High Street names represented, plus of course, it's on the sea-side! Trains from Eastbourne into London have a journey time of around one hour and forty minutes. On the edge of the Ashdown Forest, yet only a few miles from Crawley and Gatwick, East Grinstead is ideally placed for both commuters and nature lovers. The town has a useful, fairly compact shopping centre, plus good schools and leisure facilities. Prices here are not as competitive as in Crawley, but the housing stock is slightly more appealing. A budget of upwards of £295,000 should comfortably buy you a 3 bedroom home (January 2019), quite a jump from four years ago when there were still plenty of homes available for around £40,000 less than this figure. Direct line trains into London Victoria take under an hour from East Grinstead. Haywards Heath is in Mid-Sussex, approximately half-way between Brighton and Gatwick. Surrouned by beautiful countryside, the town lies on the main London to Brighton rail link, and with trains taking less than an hour into central London, the town is consequently popular with commuters. Haywards Heath has a full range of local schools, including a Further Education College. The main shopping centre offers a selection of stores catering for most basic needs. Property-wise, Haywards Heath offers a good range of 3 bedroom houses from £325,000 upwards. Houses in Hailsham are reasonably priced for Sussex, and a 3 bedroom house may be bought from around £245,000, with the odd bargain slipping in a little below that (January 2019). Two delightful, adjoining Sussex villages with a Brighton to London mainline railway station at their heart. Commuter heaven! The day I searched on RightMove, the cheapest available 3 bedroom house was priced at £326,950 followed by a big jump up to the next one at £365,000. (January 2019) Trains from this quiet Sussex location take around an hour into central London. Hassocks and Keymer have schools through to senior level, but no sixth form facility at present. Older children can travel into Brighton or Haywards Heath to study.The villages have a comprehensive shopping centre with a range of everyday village shops, plus a few restaurants and cafes (Hassocks) witha smaller, more basic parade of shops in Keymer. Hastings is a very historic coastal town in the east of the county, near to the Kent border. Famed for its connection to the Norman Invasion in 1066, there are numerous old and interesting buildings dotted about, including the old ruins of Hastings castle standing on high ground above the town. Hastings has been a holiday destination for several centuries, although these days the town is a little faded, and perhaps not quite so sought after as in its heyday. Properties here are probably amongst the cheapest in Sussex, and there are a limited number of 3 bedroom houses available under £195,000. Three bedroom homes in lovely Heathfield start at around £245,000. Situated in the East of the county, close to the Kent border, this delightful country town has an old-fashioned air about it. The tight-knit local community have a whole range of clubs, societies and activities to join and be part of, including a very popular silver band. The town has a useful range of everyday shops on the High Street including a Sainsbury's supermarket, and schools through to sixth form, which serve a large, extended rural population. There is no longer a railway station at Heathfield, but the old railway route that passes through the town, is now part of a long distance walking and cycling path known as The Cuckoo Trail. Henfield is an attractive Downland village with an old-fashioned High Street and it's own village green. On the day I researched Henfield, there were a few 3 bedroom houses available a little under £350,000, but the prices soon climbed sharply upwards. This is probably not your typical first time buyer's territory! There is no longer a railway station at Henfield, but there are a number of busy rural industrial estates close at hand, offering reasonable employment opportunities. Shoreham-by-Sea is around nine miles south of Henfield, and has direct line rail links into London, Brighton and Portsmouth. Horsham is in West Sussex, and is a thriving market town with a bustling town centre, lined with many stores from the major chains. The town has excellent shopping and leisure facilities. The local swimming pool is a recent development, and includes flumes and slides. There are good local schools, and the town is close to Gatwick, and other transport links. It also has a railway station. Price-wise, property in Horsham is a little more expensive than in neighbouring Crawley. On the day this article was researched on RightMove, there were very few three bedroom properties available with guide prices of £310,000 or less, but quite a cluster in the £325,000 to £350,000 range. House price inflation seems to have cooled off a little in Horsham, with prices nudging downwards, and a number of price reductions appearing on older listings. Horsham has a direct rail link into London, The commute takes around an hour. Beautiful Hurstpierpoint. This is another aspirational, delight of a village, only a few miles north of Brighton, and just along the road from Burgess Hill. Please don't even look unless you have more than £430,000 in your budget. The high street at Hurstpierpoint is a gem, and it's worth a visit even if you can't afford to live here. Have a cuppa in one of the cute little tea rooms, and admire the quaint local architecture. If you can afford to live here, it's worth noting that the nearest train station is only a couple of miles away, at neighbouring Hassocks. Take aside a few tatty properties on the seafront road, parts of Lancing are actually very pleasant. There is a neat little shingle beach which is sandy at low tide. There's a good, basic local parade of shops where all essentials can be bought, and Lancing has its own sports and leisure centre, and a range of schools. Lancing is sandwiched between picturesque Shoreham-by-Sea to the East, and popular seaside town of Worthing to the West, so there's plenty of additional facilities just a bus or train-ride away. Worthing has a modern hospital with maternity and A&E, and is only a couple of miles from the centre of Lancing. The local comprehensive recently became an 'Academy', and the word is that standards have already improved as a result. House prices in Lancing are surprisingly modest considering the high values achieved in neighbouring Shoreham-by-Sea. Budget for a minimum of £270,000, and you should be in with a chance of acquiring a property in this under-rated seaside town. Lewes is a gem of a town. Dominated by the ruins of a historic castle, and cut through by the murky, green-grey waters of the River Ouse, Lewes is a delight for shoppers and tourists alike. Town centre property tends to be older-style, with some positively ancient dwellings standing side-by-side with newer, 18th, and 19th century buildings. Further from the town centre, there are a number of more modern estates, although many of these are now more than 50 years old! The town has an excellent range of schools, as well as its own Further Education college. There is a sports centre, and two swimming pools, one of which is outdoor. The local hospital does NOT offer maternity or A&E. Locals have to travel 7 miles to Brighton to access these services. Lewes has a wonderful range of individual shops, but few High Street names, other than Costa, Boots, Laura Ashley, Argos, New Look, and M&Co. There is, however, a Waitrose, a Tesco, and an Aldi for food shopping. With regard to house prices, the town is notoriously expensive. All that chintzy, chocolate-box quaintness comes at a price, and a basic 3 bedroom house on one of the more modern estates, away from the town centre is likely to cost at least £340,000 (January 2019). The pretty, quirky properties on and around the High Street, and in historic Southover, will cost considerably more, unless you manage to track down a teeny weeny quirky terrace property in the town centre. Lewes is famous for its annual bonfire celebrations which attracts visitors from far and wide. The rail commute from Lewes into London Victoria takes around one hour and fifteen minutes. Affectionately known as 'LA' by many local Sussex folk, Littlehampton is a popular seaside town with a wide, sandy beach, and excellent leisure facilities catering for the many day-trippers and holiday makers who visit. Littlehampton lies between Worthing to the East, and Chichester to the West, but house prices here are a wee bit cheaper than in neighbouring towns. With a good range of local schools, reasonable transport links, and a typical range of small-town shops in the centre, you might expect the town to be more expensive, but for some reason Littlehampton remains reasonably affordable compared to much of the rest of Sussex. In January 2019, there were a good sprinkling of family sized homes available around £235,000. Direct line trains into Lodon take around one hour and three quarters from Littlehampton. Midhurst is a West Sussex market town sited on the River Rother. 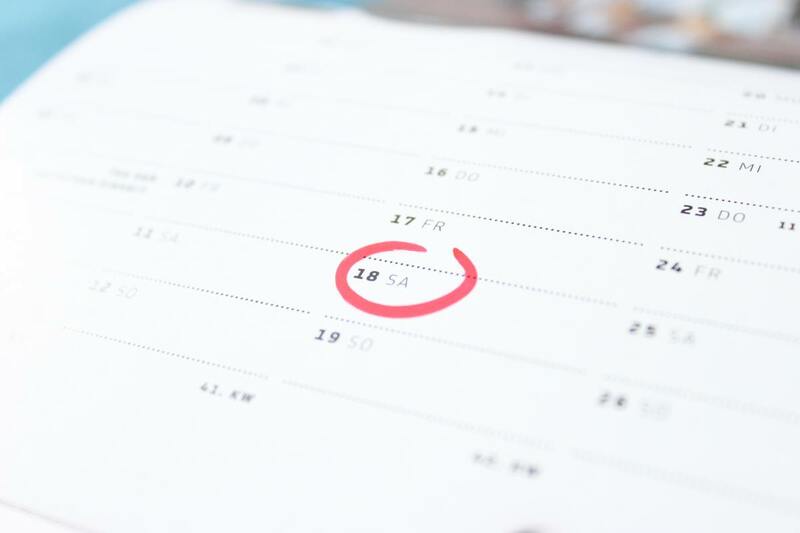 The Midhurst Medieval Festival is held each year, in early May, and includes re-enactments, and demonstrations of traditional crafts, have-a-go archery, medieval music, and so on. The town has a vibrant community with many clubs and activities available to residents. There are a number of schools locally including a senior school with provision through to sixth form. Although the High Street is quite quaint with a number of attractive historic buildings, more recent developments outside of this area account for some of the cheaper houses available. In January 2019 there were a number of 3 bedroom houses for sale priced between £280,000 and £320,000. Midhurst has no railway links, but is convenient for both the A272 and the A286. Newhaven is a port on the coast of East Sussex, approximately ten miles East of Brighton. It's not the prettiest town, and house prices reflect its relative lack of charm. A 3 bedroom house can still be bought from around £230,000. On the plus side, Newhaven is quite industrialized and there are plenty of job opportunities locally, especially in and around the port itself. There is also a useful cross-channel ferry crossing direct from the harbour. Perfect for those days when you wake up and fancy a day-trip to Dieppe! 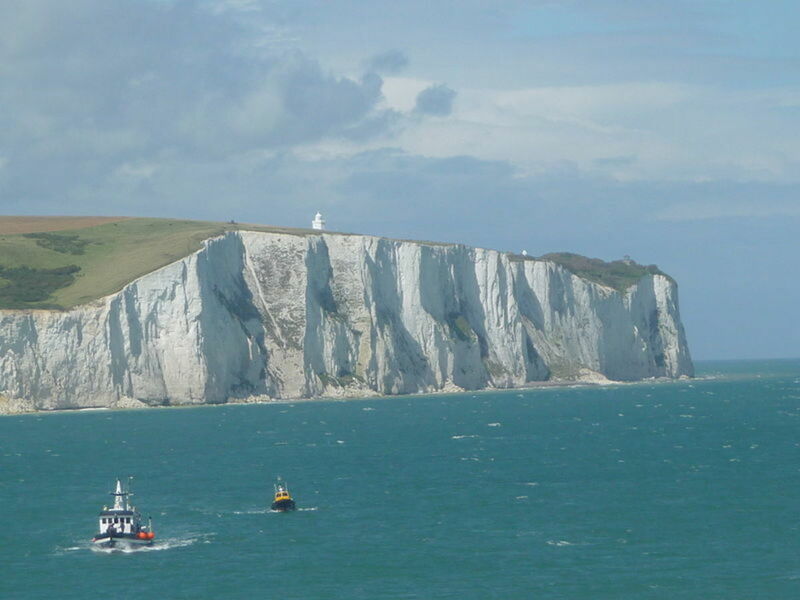 Lying on the chalky cliffs of the coastal strip between Brighton and Newhaven, Peacehaven is a town in the Lewes district of East Sussex. Its site coincides with the point where the Greenwich meridian crosses the English south coast, and there is a roadside obelisk to mark the line. The town was established in 1916 by an entrepreneur named Charles Neville, who came up with the idea of selling the land off in plots for individuals to develop as they wished. He advertised the land in the Daily Express, and publicised the development by offering a free plot to the person who came up with the best name for the new town. Ethel Radford from Leicestershire chose the name Peacehaven, and so the town received its name. Modern day Peacehaven is built on a grid system of roads and avenues. Many of the properties are bungalows, or chalet bungalows. There are schools through to secondary level, reasonable local shops, and a leisure centre. The town is not on a rail route, but regular buses travel regularly to the city of Brighton, which lies on the coast 9 miles to the West. Basic 3 bedroom family homes start at around £270,000. The most basic 3 bedroom houses can be bought from around £325,000 in the lovely old town of Petworth. The town's chief claim to fame is Petworth House, a wonderful stately home and National Trust property, with connections to the famous 19th century artist, Joseph Turner. Polegate has a railway station, and lies on the outskirts of Eastbourne, so it's not too far to the sea and the South Downs. It's a quiet little town with basic shopping facilities, but there are good schools, and leisure facilities just a short bus or train journey away. Property prices here are higher than in the towns further East, but you can still acquire a 3 bedroom house for a little less than £250,000 (January 2019). Rottingdean is a quaint, seaside village with a fascinating, literary and artistic history. Once the home of both Rudyard Kipling, and Edward Coley Burne-Jones, this old-fashioned village is popular with day-trippers, and there are plenty of the obligatory tea-rooms and gift galleries in evidence. Price-wise, you are unlikely to find even the most basic 3 bedroom house for much less than £350,000, but realistically a budget of £525,000 plus might be needed to secure a family sized home here. 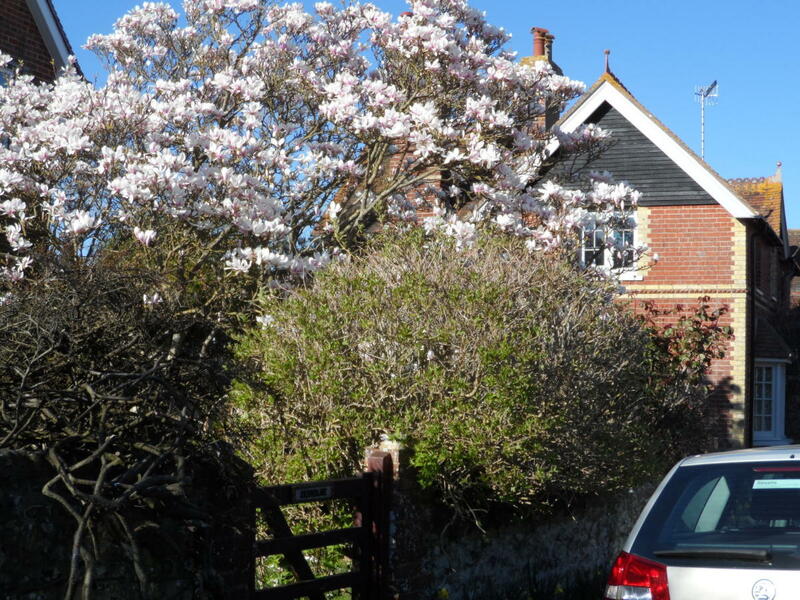 Around £265,000 should be enough to buy you a 3 bedroom house in this attractive West Sussex village. Rustington shares Angmering railway station with Angmering and East Preston, making it a good place to live for commuters to Brighton in the East, and Portsmouth in the West. Trains into London Victoria take around an hour and a half from here on a direct line. Once almost entirely surrounded by the sea, the little town of Rye, one of the famous Cinque Ports, now stands two miles inland. It is a pretty and historic town with some charming streets at its heart. There is a limited range of local schools and leisure facilities, and local shops tend to be mostly geared towards the tourist trade. Property-wise, a 3 bedroom family house may be bought from around £280,000 upwards, with an occasional bargain creeping in a little below that. Saltdean sprawls alongside the main coastal route from Brighton to Eastbourne, and has more than its fair share of retirement bungalows in the mix. Travelling along the coast road, the main thing that catches a traveller's eye in Saltdean, is the wonderful Art Deco Lido with it's open air swimming pool. Saltdean lies mid-way between Brighton to the West, and Newhaven to the East. It is a comparatively recent settlement, and has no real historic heart, but it is popular as a dormitory town for the larger towns either side of it. Three bedroom houses here begin at around £350,000 (January 2019). A 3 bedroom house can be bought in this seaside town from around £265,000 (January 2019). Seaford lies between Newhaven to the West, and Eastbourne a few miles East. It is a quiet, little non-descript town on the main coastal railway line. In the Middle Ages, the town was one of Britain's major ports, but there was a considerable decline in fortunes as the harbour gradually silted up, and raids from French pirates became more frequent. Between 1350 and 1550, the French burned the settlement down several times. The town has a reasonable shopping centre covering most basic requirements, plus schools and sports and leisure facilities. The nearest local hospitals are in Brighton and Eastbourne, both offering A&E, and maternity. Shoreham-by-Sea is a town of many parts. There is the charming, river-side town centre with its ancient parish church, and streets of old-fashioned fisherman's cottages. There is the long stretch of land on the far side of the River Adur which backs on to the sea, and is known as Shoreham Beach, then finally, there are the sprawling developments, mostly fairly modern, to the North and East which creep up to the very edge of the South Downs. Shoreham is a very popular commuter town because of its mainline rail station. It also has good schools, including a local comprehensive which was recently rated outstanding by Ofsted. There is a sports and leisure centre in nearby Southwick, and,as well as a useful mix of basic shops in the town centre, there is an out of town shopping development with a Next, a Tescos, and a Marks & Spencers. Proximity to both Worthing in the West and Brighton in the East, pretty much guarantees a good choice of venues for eating out, theatre, and other nightlife. Price-wise, Shoreham-by-Sea is a little dearer than its next-door-neighbours, Southwick and Lancing, and both town centre properties and beach-side properties can be quite expensive. Three bedroom houses priced below £300,000 are very rarely available, although with the current run of price reductions on older listings, things may be about to change. Southwick lies in the middle of the Brighton to Worthing coastal connurbation. The seafront here is dominated by Shoreham harbour, which despite its name, actually abuts the whole of Southwick, and stretches right down through Portslade and into Hove going East. The good news for Southwick folk however, is that there is a fine stretch of useable shingle beach on the far side of the harbour, which is sandy at low tide. This is accessed over the lock gates that control the port's water levels. Alongside the beach with its obligatory row of beach huts, lies an extremely popular cafe/restaurant known as Carats Cafe. The full English breakfast comes highly recommended. Southwick has a long and venerable history, and the southern part of the town incorporates its own village green, overlooked by some of the oldest properties on this stretch of the coastline. These include King Charles cottage, where Charles ll is said to have taken refuge before boarding a ship named 'the Surprise' anchored in Shoreham Harbour. Southwick has three all-through primary schools, and senior school provision is close-by in either Portslade or Shoreham-by-Sea; the two towns are immediately adjacent. Southwick has a useful parade of local shops catering for everyday needs, and excellent transport links including its own railway station. 3 bedroom homes start at around £325,000. Picture perfect Steyning lies a few miles inland from Shoreham-by-Sea, and has good local schools, a range of local shops, mostly small traders, and is surrounded by the South Downs. This pretty little village is expensive but appealing. A basic 3 bedroom house is likely to cost between £345,000 and £385,000, assuming that you're lucky enough to find one for sale. No longer on a train route, Steyning enjoys a network of good local buses to and from the surrounding towns and villages, and there is an excellent cycle path along the route of the old railway line, which runs from Shoreham-by-Sea to Guildford. The nearest mainline rail service is at Shoreham-by-Sea. On the day I researched Uckfield on RightMove, there were several properties listed at a little below £275,000, and a number of slightly higher priced 3 bedroom houses in the town, with recent price reductions As with all these things, prices are changing daily, and it is important to do your own research, but it does appear that the tide is slowly turning on house values in this area. A direct train journey into London Bridge takes approximately one hour and twenty minutes from Uckfield. The small, market town of Wadhurst lies on the East Sussex side of the Kent-Sussex border. It has a good range of local shops, mostly small traders, a choice of local primary schools, plus a local comprehensive with its own sixth form. The town has grown up around an ancient settlement, and there are a number of notable old buildings in and around Wadhurst. Lower end family homes rarely come on the market in this area. Budget for a minimum of £325,000, but expect to pay more. Commuters will be pleased to note that the journey into London Charing Cross takes a little over an hour on a direct route from Wadhurst. Worthing is a popular seaside resort in West Sussex. The shingle beach gives way to sand at low tide, and there is a short, neat pier, with a theatre and restaurant at the shore end. 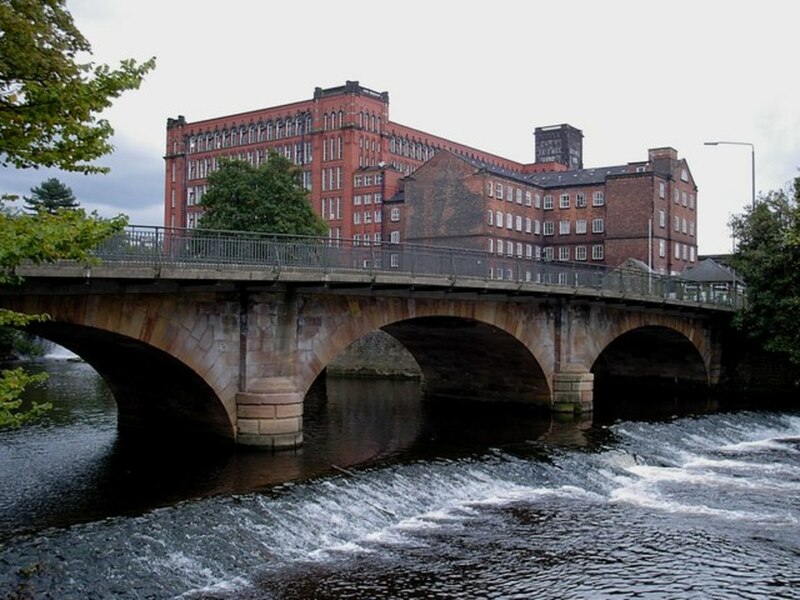 The town has good schools, an excellent Further Education college, a comprehensive, pedestrianized shopping centre, sports and leisure facilities, and a good, local hospital with maternity and A&E services. Price-wise, Worthing is generally cheaper than Brighton, which lies about 14 miles to the East. On the day I researched Worthing, I found several 3 bedroom houses priced in the region of £250,000.